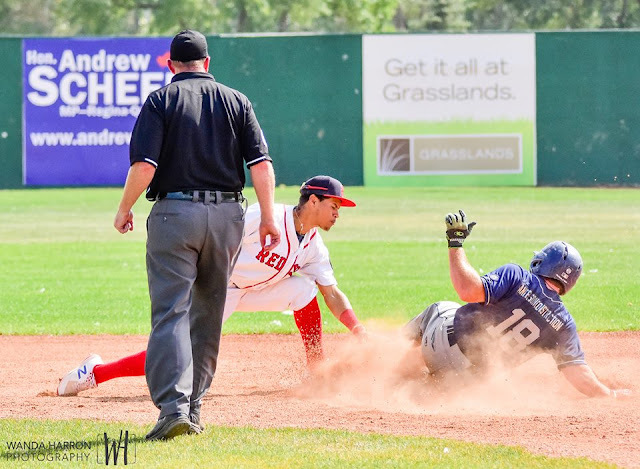 REGINA - Regina rebounded from an early three run deficit to outscore the Weyburn Beavers 10-4 and force a sudden death Game 5 Friday night in Weyburn. Offensively for Regina, Brooks Stodler reached base four times with three hits and a walk. As well, Matt Deneau and Jahshua Jones each homered for the Red Sox. Corey Harrell went yard for the second consecutive night for Weyburn. Weyburn starter Chase Thometz was roughed up over his 3.2 innings of work. He was tagged for nine runs on eight hits and a walk. Attendance at Currie Field was 540.